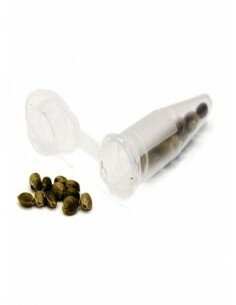 These seeds produce fantastic plants by their effect and appearance. Our most indicated variety, White Russian is a stable cross between AK-47 and White Widow (a winner of several awards). Type: mostly an Indica hybrid.Recommended vegetative time for cuttings: 7 - 14 days.Recommended vegetative time for seeds: about 35 days. Flowering: 55 - 60 days.Production: 400 - 500 gr / m2. A test performed by an independent laboratory in the Cannabis Cup1999 showed 21.5% THC, the highest percentage that year. Medicinal plant.